7 May. Ancient Milan church yields tombs, coins from 4th century [ANSA.it]. 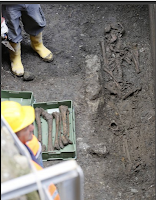 At least two burials, one an infant and one an adult, have been found during excavations of the Church of Sts. James & Philip. This Roman community was called Nocetum, and coins from the burials place them around 350-353. 19 March. Cimitero delle Fontanelle and "The Neapolitan Cult of the Dead" or "The Neapolitan Skull Cult" of Naples, Italy [Morbid Anatomy]. 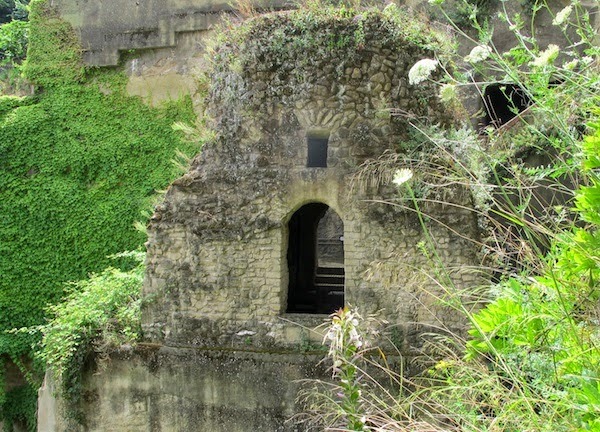 If you're in Naples this summer, you can check out Virgil's tomb (see below) and this massive underground ossuary. 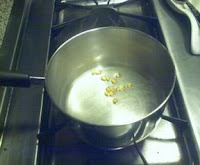 Check the post for lots of neat pictures. 11 May. Musician-with-lyre burial from Metaponto? [Rogue Classicism] Archaeologists have found the burial of a man along with a lyre at Metaponto, dating to around 2,500 years ago (I can't find a better date, unfortunately). He was between 40-60 years old, and his height is roughly 180cm (6' tall) -- tall for his time, but not unreasonably so. There is a suggestion that he suffered from acromegaly, but there doesn't seem to be a publication yet (even though this might have been found five or six years ago). 3 May. Roman cemetery - under another car park in Leicester [Past Horizons] [LiveScience]. This cemetery, found by the Richard III excavators, dates to about 300 AD and produced numerous artifacts in addition to 13 burials. What's interesting about this cemetery is that there is a mixture of sexes, ages, and burial rites, suggesting a time and place of religious syncretism and/or change. 8 May. Four Roman skeletons unearthed by workers on £40m Covenham to Boston water pipeline [Louth Leader]. The headline is a bit misleading, as it's only assumed these are from the Roman era (and they were found not far below the topsoil). The remains represent an adult and child buried together ("spooned"), and two adults buried on their backs. But there is archaeological evidence of Roman occupation in Stickford, so we'll have to wait and see. 7 May. French archaeologists uncover a Gallic necropolis from the 4th and 3rd centuries BC at Buchères [artdaily.org]. 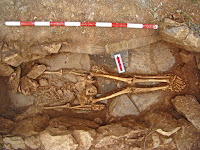 These burials were made near an earlier Bronze Age cemetery, and 5 of the 14 graves that have been excavated are thought to have held warriors. Although this is earlier than Roman occupation in the area, these La Tène graves hold a lot of artifacts and information about this era. 8 May. Necropolis bioarchaeology at Roman Sanisera [PastHorizons]. Quite a lot of digging has been underway in recent years on the island of Menorca, and there are generally one or more bioarchaeology field schools each summer. This report summarizes the investigations from 1996-2008 of a Roman military camp that was abandoned in 45 BC and that then became the settlement of Sanisera. There are cist, pit, and amphora tombs, most of which lack grave goods, and some show evidence of reuse. Some additional info about the osteology of the burials is presented in this article, but it is very vague; it'll be interesting to see the eventual publication. 10 May. Elephant's tomb may have been Mithraic temple [Past Horizons]. A new analysis of some funerary chambers in the Carmona (Spain) necropolis dating to the 1st century BC to 2nd century AD suggests one structure might have been a temple to Mithras, a fairly mysterious religious figure brought to the Roman world from the East. 2 May. Plague helped bring down Roman Empire [LiveScience]; Justinianic plague was caused by bacterium Yersinia pestis, DNA of skeletal remains shows [Science Daily]; Yersinia pestis DNA from skeletal remains from the 6th century AD reveals insights into Justinianic plague, M. Harbeck et al., PLOS Pathogens. 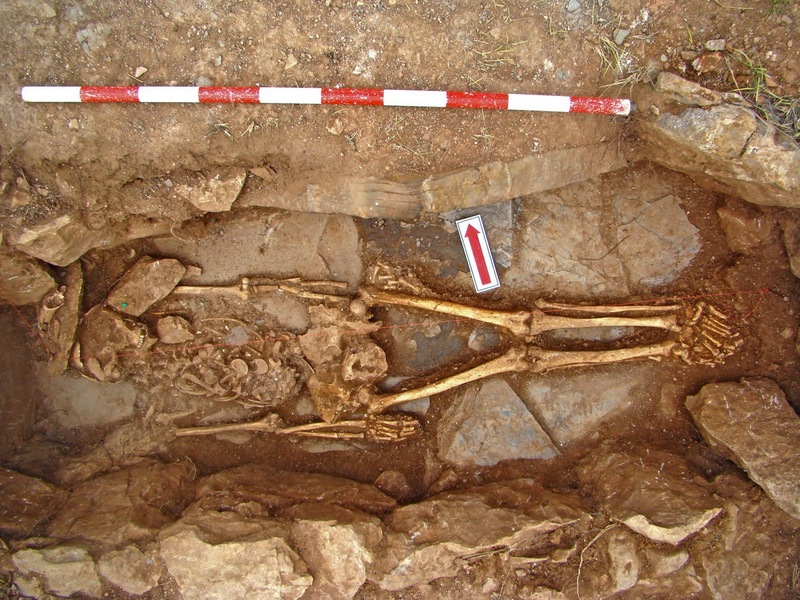 In a very cool study, Harbeck and colleagues sequence DNA from skeletons assumed to have been victims of the Plague of Justinian (541-2 AD), found in an early Medieval cemetery in Bavaria. They were able to confirm from the remains the presence of Y. pestis DNA, suggesting it was the cause of the plague. Y. pestis, of course, also had a role in the Black Death. 22 May. 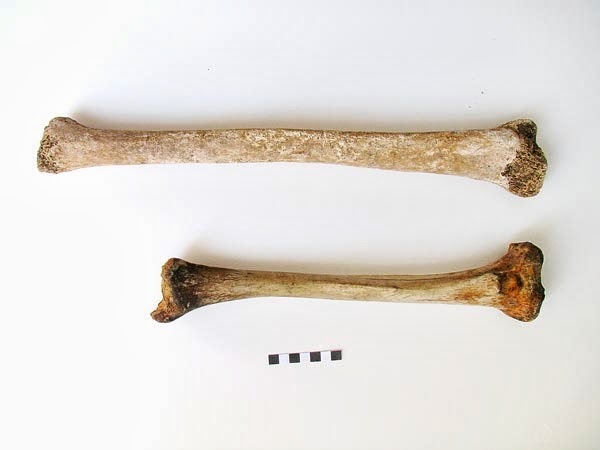 2,500-year-old bone fragment from forearm of Greek warrior x-rayed at North Shore-LIJ [PR Web]. A bone from a skeleton dating to the 4th century BC was recently studied by an archaeologist at Adelphi University on behalf of the Greek Archaeological Service. The skeleton represents a man who died in his late 50s or early 60s, with an arrowhead embedded in his left ulna. It seems that surgeons at the time were able to remove part of the hooked or barbed arrowhead, but some of it was left in the arm, causing the bone to remodel around it. Unfortunately, there are no photos of the bone or the x-ray. 15 May. 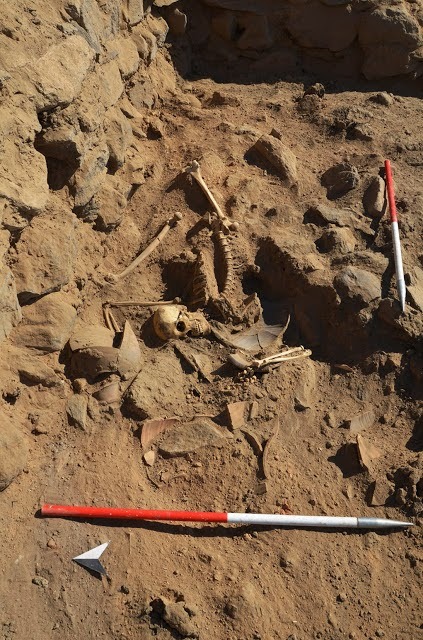 Egyptian-Nubian soldier skeleton discovered by Dr. Irene Forstner-Müller [Luxor Times]; Egypt's ancient history reveals itself anew as Roman warrior skeleton discovered [Albawaba]. 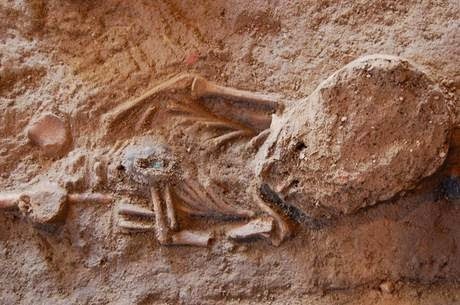 A purported soldier dating to Late Roman times (roughly 610-695 AD) was found at the site of Hisn Al-Bab near Aswan in Egypt. The skeleton belonged to a man in his late 20s or early 30s, and he may have been killed by a knife-wound to the groin (ouch). The photo reveals pretty impressive skeletal disarray; unclear from the articles if it's the result of hasty burial or taphonomy. 16 May. Cemetery reveals baby-making season in ancient Egypt [LiveScience]. This first of two news articles on the Roman-era site of Kellis summarizes some of the latest work done by a team of bioarchaeologists at the University of Central Florida (Dupras, Wheeler, and Williams). 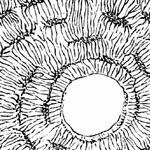 Over 100 skeletons of infants and fetuses have suggested that the peak period for conception was July and August, as the orientation of the burials (toward the rising sun) helps the researchers pinpoint time of conception. Also, the peak period for death of women in childbearing was in March and April, which is also when there was a birth peak. 28 May. 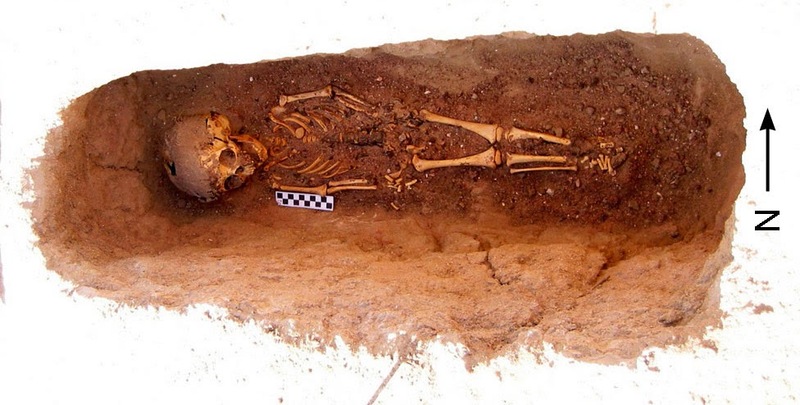 Earliest case of child abuse discovered in Egyptian cemetery [LiveScience]. Also from the Kellis-2 cemetery, the UCF researchers found the burial of a 2- to 3-year-old child whose skeleton presents significant evidence of child abuse: a number of fractures, all in various stages of healing. This is very interesting work, but my main problem with it is the suggestion in the article that the child abuse may have been the result of Roman influence. While there are numerous historical records on Romans' thoughts about childrearing, as far as I know, there is no osteological evidence of child abuse in the Roman bioarchaeological record. Arguing that osteological evidence of child abuse indicates "romanization" of Egyptian childcare practices simply because Roman history mentions corporal punishment and cradleboarding is a huge logical leap that I don't believe is warranted. But, that being said, it's not as if the Roman bioarchaeological evidence of children has been pored through to systematically figure out if there are abusive practices going on. 7 May. Rome wants to pump new life into a gladiator's tomb and ancient villa [La Stampa]. In an effort to spiff up parts of Rome for the 2000-year anniversary of Augustus' death next year, archaeological parts of the Via Flaminia are in talks to be restored, including the Tomb of the Gladiator and a large mausoleum. 18 May. Le tombe villanoviane di San Giovanni in Persiceto [Antika Notizie]. The Museo Archeologico Ambientale has an exhibit of Villanovan cremation tombs dating to the 8th-7th centuries BC. These fascinating burials provide a lot of information on the funeral rite of the Iron Age cultures of central Italy. 21 May. The battle for Egypt's ancient Roman site, Antinopolis [The Art Newspaper]. According to this article (mostly on the architectural remains at the site), part of the site and the the 2nd century AD necropolis have already been converted into farmland. 21 May. Visiting the dead: archaeology, museums and human remains [Res Gerendae]. An interesting essay that jumps off from the recent Pompeii exhibit at the British Museum to talk about displays of the dead. Complementary to Mary Beard's BBC News article last winter. 15 May. Roman historian/archaeologist Ray Laurence is back with another cute TEDEdvideo about what life was like for kids in ancient Rome. The new video is "Four sisters in Ancient Rome," a nice complement to "A glimpse of teenage life in ancient Rome." I attended the Sanisera field school in 2009. It was a wonderful experience and I would love to be able to go back every year! Nice to see that there's a report out.